Just a few weeks ago, Google’s YouTube TV expanded into 14 markets. This week it announced the addition of 12 more markets that include: Cleveland, Denver, Greensboro, Harrisburg, Hartford, Indianapolis, Kansas City, Milwaukee, Oklahoma City, Salt Lake City, San Diego, and St. Louis. This latest expansion brings the total roster up to 41 major American markets. Incredibly, it was just this past Spring that YouTube TV was originally launched in five markets; New York, Los Angeles, the San Francisco Bay Area, Chicago, and Philadelphia. With the addition of these new markets, Google says YouTube TV now reaches 50% of American households. YouTube TV’s progress is remarkable considering the company promised it would not launch in any market that it could not deliver the top four local broadcast channels. YouTube TV continues to offer the service for $35 per month. For that price, users get access to a lineup of 40 different networks and channels across six active accounts and also includes access to YouTube Red Originals, the company’s lineup of original programming (normally $10 per month). 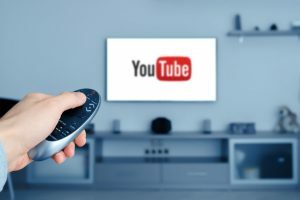 YouTube TV includes an unlimited cloud DVR with support for up to six accounts per household, each with their own recommendations and storage allotment.